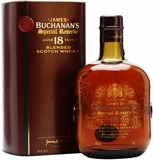 Blended Scotch whisky is the best-selling product within the whisky category. Of all the Scotch produced today, roughly 90 percent is blended. Whisky barrels of various ages from multiple Scottish distilleries are selected based on flavor and combined to create this blended spirit. As a result, this Scotch is not typically labeled with a specific age, as is common practice with single malts. The blending process allows the Scotch whisky producer to maintain a consistent flavor profile over many years and batches, without any unfamiliar flavors. 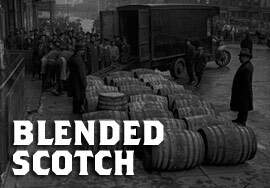 Blended Scotch, which contains both malt and grain whiskies, was originally created as a mellower alternative for those struggling with the harshness of some single malt Scotches. 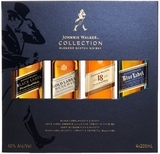 At Ace Spirits, we are proud to offer the best blended Scotch selection. As a top-rated online store, we have an extensive selection of blended whisky for that special occasion or as an addition to a growing collection. We don’t sell cheap Scotch whisky, but we do sell our Scotch at the cheapest prices. We invite you to browse our collection and find out what many of our loyal customers already know. The Hive uses a signature malt from Speyside, giving citrus and honeyed top notes. For Spice King, the signature malt we use is from the Highlands and Islands, to produce a whisky with rich, full and spicy top notes. Peat Chimney uses an Islay signature malt to give top notes of sweet smoke, salt and peat.